The bill was passed by near consensus in Lok Sabha on Tuesday. Parliament LIVE Updates: Rajya Sabha passes Quota Bill, 149 vote in favour, 7 vote against it. Parliament LIVE Updates: 155 vote against quota bill be sent to select committee. 18 vote in favour. Parliament LIVE Updates: Voting on general category reservation bill begins. Parliament LIVE Updates: NCP’s Prafulla Patel questions the timing of the Quota Bill, says even the Cabinet did not know that this amendment was about to come. New Delhi: The bill for 10 per cent reservation for the ‘economically weak’ was tabled in Rajya Sabha on Wednesday amid uproar by the Opposition. It had to be adjourned till 2 PM as the Opposition members shouted and even proceeded into the well of the House. When the proceedings resumed, Home Minister Rajnath Singh began speaking on the Citizenship Amendment Bill and said the Government was trying to ensure peace in the N-E region. Then, BJP’s Prabhat Jha began the debate on quota bill. He claimed PM Modi was the only prime minister to have taken into account the Opposition’s manifesto as well. Speaking next, Congress’ Anand Sharma tore into the Government defence and said while his party did not oppose the bill per se, it needed to understand the motive behind tabling it now, with the Lok Sabha elections around the corner. Earlier, tabling the 10% quota bill, Union Minister Thawar Chand Gehlot had said it was meant to uplift the poor of the country. The bill was passed by the Lok Sabha the previous day with 323 members voting in its favour and only three against it. 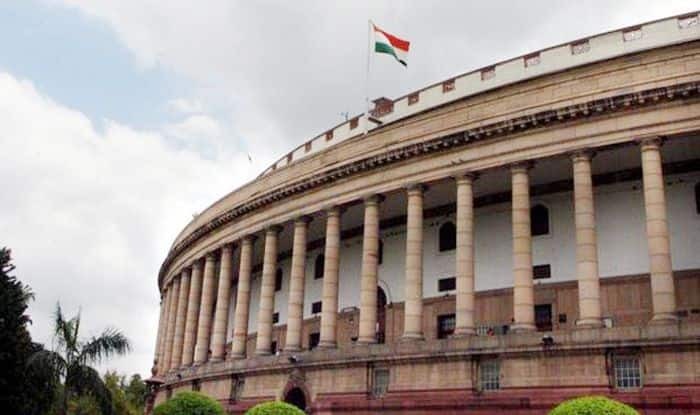 Being a constitutional amendment bill, it will now require the presence of at least half of the members even in Rajya Sabha as also the support from two-thirds of them. The BJP believes that if Opposition parties, whose support is a must for the bill’s passage in the Rajya Sabha, vote against it, they will risk losing the support of an influential section of society. According to sources, AIADMK, with 13 MPs in the Upper House, is planning to stage a walkout. The Congress and the BJP have both issued a whip asking all their members to be present in the House on Wednesday. Sources said members of Opposition parties were upset over the extension of Rajya Sabha proceedings by a day and will raise their protests in the House. The Opposition members did not allow the Upper House to do any business on Tuesday as well and the House was adjourned six times during the day. With 73 MPs, the BJP has the highest number of seats in the House which has a strength of 244 at present. This is followed by the Congress with 50 members. Interestingly, while all Opposition parties have welcomed the bill, they have also doubted the government’s intentions. The Congress said it was merely a “gimmick” aimed at political gains in upcoming elections. Party leader KV Thomas said the legislation had been made in haste…and it should be sent to Joint Parliamentary Committee for examination. Various parties, including the BSP, SP, TDP and DMK, also called it a poll stunt even as they welcomed the move. The CPI(M) alleged it was a move to gain electoral benefit by combining caste passions with communal polarisation. BSP chief Mayawati said the bill was an “election stunt and political gimmick” ahead of Lok Sabha polls, though her party welcomed the “immature” move. Meanwhile, the triple talaq bill has also been listed under the business of the Upper House today. However, it is highly unlikely to be passed as the Opposition is adamant on sending it to a Joint Parliamentary Committee.